As far as I am aware (as at the time of writing) there are no example apps for H5. Or documentation. there are however some videos on YouTube and there’s a few folk in the newsgroup who help each other. Open this link for tutorials. Bruce, do you know if the web builder templates come with the Enterprise edition of Clarion? Or, is that an add-on? It comes with Enterprise Edition. Although folks tend to use the term “H5” now. 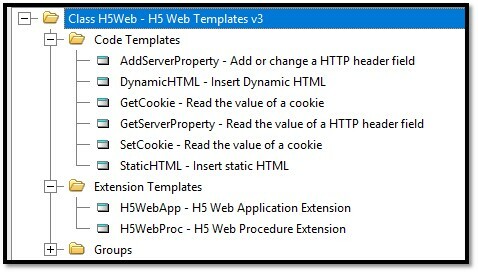 I’m not sure the original WebBuilder stuff ships anymore (at all) I think it’s all been replaced with H5. Excellent example of H5 app on GitHub. Contribute to ClarionUIX/H5 development by creating an account on GitHub. I’m trying to open the app example, but there’s an errors said " cannot create an application because no templates have been registered "
can you tell me how to solve the problems? 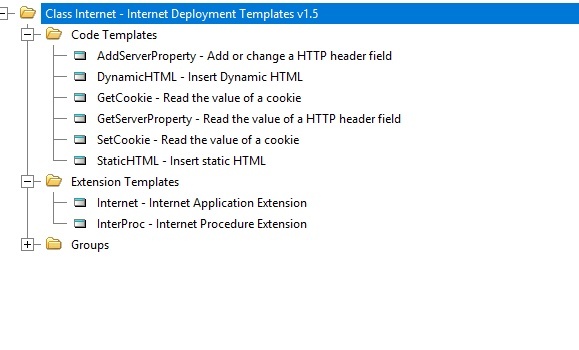 It appears that the in your case that the “H5 Web Template V3” template has not been registered. Where do I can get that template ? 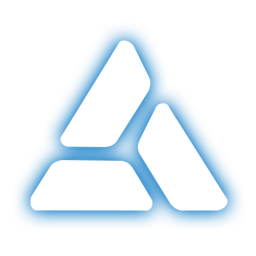 does it is exist on the example directory? cause I can’t find it. Does the template needed even I only need to open from the clarion app ? Based upon this thread H5 template is only available in EE edition. Find “wbmain.tpl” file under your Clarion installation directory “template\win” then register it on your template registry. I’ve found the template next where should I register? Is it possible that I do wrong way of register the template? or maybe could you help me to make it right…the steps or tutorial ? Does the prompt message still appears after you register all templates?.. 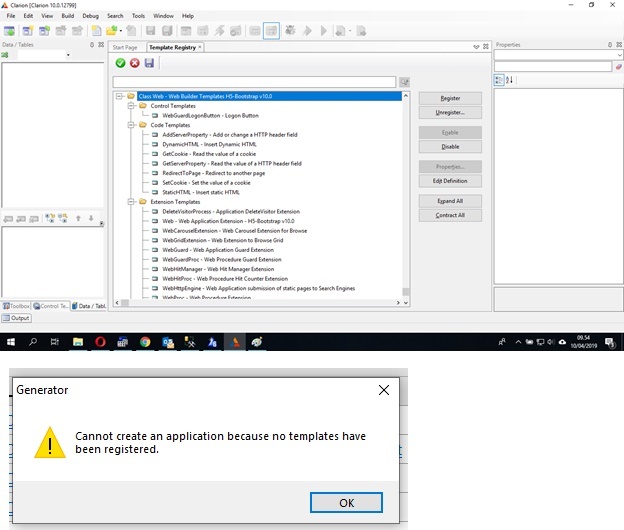 Try to delete TemplateRegistry10.trf if on Clarion 10 or TemplateRegistry11.trf if on Clarion 11 then register again all template… There is no other way I know on registering templates the only I know is through Clarion IDE under Tools > Edit Template Registry. Just make sure no other instance of IDE is running.